If you read last Sunday’s article in The New York Times about Barnes & Noble’s struggles, you know that we’ve lost one in five independent bookstores in the US since 2002. But what if the bookstore could be re-thought from the ground up? That’s what Kepler’s Books in Menlo Park, CA, has begun to do. 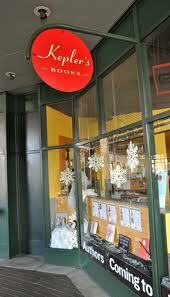 Kepler’s has for many decades been the premiere independent bookstore in the Stanford area. I remember haunting its aisles as a student in the late sixties. But like all independent bookstores, it has struggled mightily to stay alive over the past decade. Now the current owner, Clark Kepler, has brought in some smart partners who are creating a new business model: the store will be reworked as a place where the community gathers to share ideas. Books will be a part of that–but the events portion of the business will be spun off as a nonprofit. And digital books and ereaders will be embraced as another way to support the exchange of ideas in this new place. Filed under: future of the bookstore - indie bookstores - Kepler's.